Our mentors are friendly, experienced Java developers who will help teach you new techniques and tricks. Java is among the most popular available programming languages, thanks to its versatility and compatibility. It is widely used for software development, mobile applications and developing larger systems. Java was born in 1995 and is maintained by Oracle. Despite the fact that it isn't as young as some of the fresh languages out there, Java is still really popular. It was designed to be fast, secure, reliable, beginner-friendly and highly portable. This portability perk exists because Java is executed on a cross-platform compatible Java Virtual Machine - JVM. Android apps are also developed using Java, since the Android Operating System runs on a Java language environment. The Java community is huge! GitHub for example has over 1.5 million Java projects. It's also worth mentioning that Java has the second largest community in StackOverflow! This is important because the larger a programming language community is, the more support you'd be likely to get. Java also has a powerful and well-designed set of built-in APIs - Application Programming Interfaces, which can be used for various activities like Database connection, networking, I/O, XML parsing, utilities, and much more. Once you join the Java language track, you will receive support and feedback from our team of mentors. Here are the bios of a few of the mentors of this track. I have worked with Java for many years, both professionally and as a hobby. Passionate developer. Live long learner. Father. Geek. Frat Boy :). I've written Java professionaly for many years and mentor/coach myriads of Java developers. I've been writing Java code professionally during the entirety of my career, spanning many years and multiple software companies! I'm a software engineer working professionally in Java, I love to learn new languages and to improve my coding style. My side projects are usually focused around learning some new language or technology. I'm a Software Developer with exposure to Java/Spring, Devops, Linux, Databases. Currently exploring Distributed Systems and Erlang. I've been working as a Java developer for a bit more than 5 years now. Finding elegant solutions is something I value. I'm an open source enthusiast. These are a few of the 104 exercises on the Java track. You can see all the exercises here. The Java Maintainers are the brains behind the Java Track. They spend their spare time creating interesting and challenging exercises that we can all learn from. We are incredibly grateful for their hard work. Here are the bios of a few of the maintainers of this track. I'm a 17 year old student and code artisian. I love writing code and making things. Currently, I enjoy answering stackoverflow questions and making webapps when not contributing to exercism. I'm a software developer working for Softwire, a UK based software company. I'm a full stack developer working with many different languages including Java. I love programming and helping other people learn more about it! 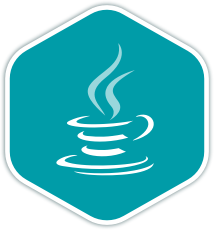 Get started with the Java track. As with everything on Exercism, it's 100% free!